Nashville Predators center Colton Sissons (10) defends as right wing Ryan Hartman (38) defends against Colorado Avalanche right wing Mikko Rantanen (96) in the second period at the Pepsi Center. (Photo: Isaiah J. Downing-USA TODAY Sports). Colorado suffered its fourth-straight loss on Wednesday night at Pepsi Center. 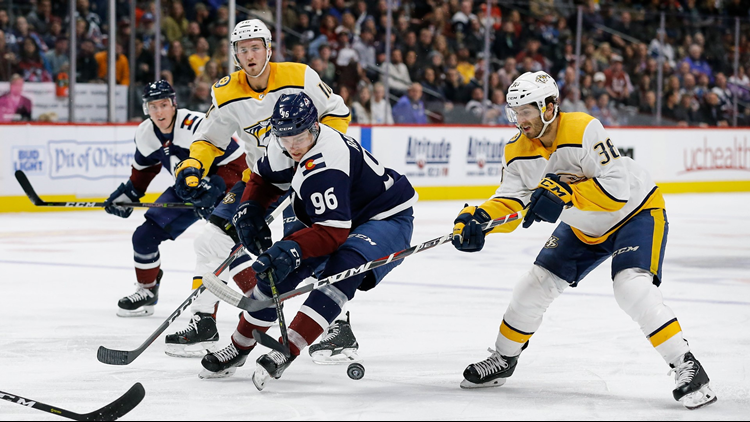 Colton Sissons got his second career hat trick and Colorado had two apparent goals nullified on replay review as the Nashville Predators beat the Avalanche 4-1 Wednesday night.